We are excited to have many advocates joining us at the Capitol for our Campaign for Trauma-Informed Virginia Advocacy Day on January 30th! Yet we know many supporters cannot travel or take a day off to join us in Richmond. 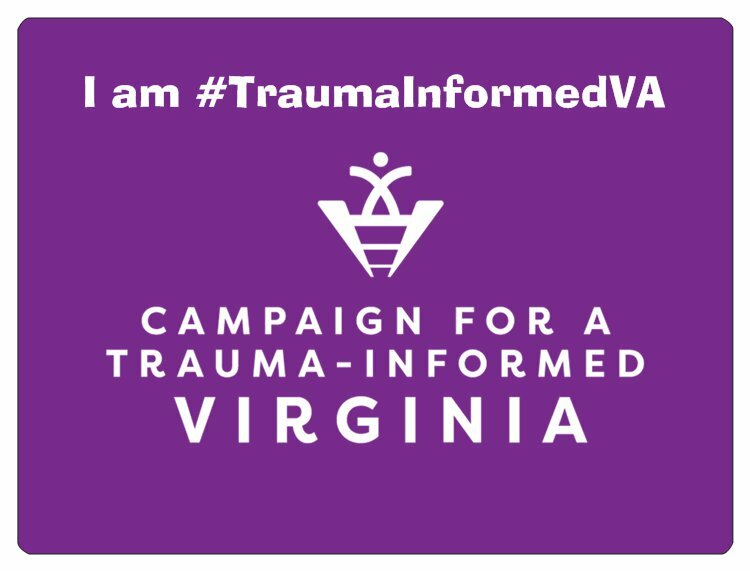 For those who can’t join us we’ve set up a Virtual Advocacy Day with a theme– I am #TraumaInformedVA. Follow these instructions to participate in our Virtual Advocacy Day on social media. Your participation will help highlight the issues that over 40 organizations have endorsed as the priorities to help create a more trauma-informed Virginia. Step 2: Cut and paste from the suggestions below to share your message of why you are trauma-informed. You can put these directly into your facebook, twitter, or instagram. Or if you want to get creative, record a video or make a graphic with these quotes! Make sure to also tag your legislator! Step 3: Follow the conversation at #TraumaInformedVA. Retweet and fave the posts you like! I am #TraumaInformedVA. I believe that strong parents are the best buffer when a child experiences trauma such as witnessing violence or experiencing hardship.